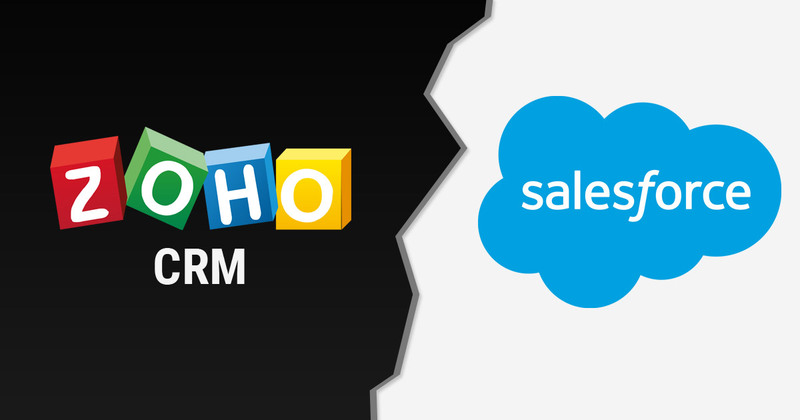 If you’re looking for an online customer relationship management (CRM) solution, you probably would like to compare Salesforce vs. Zoho CRM. But it’s like comparing a tailored suit to a loose sweater. The tailored suit is shaped to your needs and priced accordingly. The sweater keeps you just as warm but hangs loosely, and is kinder to your cash flow. They are both appropriate for different situations. To help you sort through the pluses and minuses of these CRM systems, and understand where their features intersect, read our review below. Manage contacts by providing organized storage for contact information such as names, addresses, phone numbers and email addresses, as well as a record of your communications with each contact. That means no more sifting through multiple spreadsheets and files to find the nuggets of data you need. Optimize leads with a system that can be set up to track and nurture them. Run campaigns that engage customers and prospects with messages they need when they need them. You can also weigh up campaign effectiveness, and paint a picture of market segments. Maximize opportunities by tracking them, following up and shrinking your sales cycle. Everything can be stored in one place, such as meeting notes, and products and services that are a good fit for the customer. Increase service levels with a system which assures your help-desk service is top notch. Integrate with Microsoft Office so data, such as Outlook contact information, can travel without roadblocks between software packages. Create roles and profiles which put boundaries around what users have access to, so they can access exactly what they need while data that’s for a few eyes only remains secure. Support mobile devices so users can access your CRM system anywhere, anytime. Construct workflow rules to automate your business’ standard processes. Customize the user experience with apps galore. Salesforce hosts a cloud-computing marketplace called AppExchange which overflows with more than 1,000 different apps. There are over 1,800 partner-built apps in Salesforce, and 1 million custom built apps. They also provide a developers’ sandbox. Here your developers can “play” with code (like children play with sand in the confines of a sandbox) and create code to customize Salesforce to your needs. Create unlimited roles and profiles that assure users can access exactly what they need…and no more. Use Mail plug-in or Microsoft Outlook plug-in at no extra cost so email streams easily in and out of Salesforce. Create lead queues. A lead queue is a place to store unassigned leads which is an efficient way to share leads among a group of users just like the line at the bank feeds customers to multiple tellers. Salesforce can, however, eat through a large chunk out of your company’s funds; and you have to commit to an annual contract. Below is the 2013 pricing menu. Mobile – Free or paid, which provides full access to live data, at $50/month/user. E-mail and Outlook integration is free. 11 gigabytes of file storage comes with each Salesforce edition. You can expand your storage but each gigabyte you use costs more. There are a couple more limitations. The maximum size of an attachment is reined in at 5 MB. Also, there’s no capability for inventory management—no purchase orders, sales orders or ability to manage vendors. If you’re looking for a CRM solution for a small company that needs to contain costs and doesn’t need a high degree of customization, Zoho might be the right solution. Zoho has low costs, no annual contracts and allows unlimited data storage in Professional and Enterprise versions. Also, with Zoho it’s simple to purge duplicate records without losing data. You find the duplicate records by looking at specific fields, such as Company, or Phone, and then merge the duplicates for the most complete picture. Don’t worry if you delete something you need because Zoho stores it for 60 days. In Salesforce it only sticks around for 15 days. You can also automate tasks using macros that select records for pre-defined actions such as a sending an email campaign. Another practical tool for Call Centers is Zoho PhoneBridgeTM which integrates call center applications with Zoho CRM. This enables you to handle your telemarketing activities from lead nurturing to customer service. With prices like this there are a couple of things you have to sacrifice. There is no sandbox environment for customization. There are no queues for lead assignment. 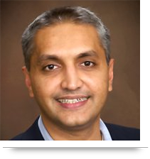 So you may lose some flexibility and efficiency as leads have to be assigned to specific users. Choosing a CRM system can seem like a daunting task. So take it a step at a time. First list all the features you would like to have in your CRM software. Now, prioritize. What do you absolutely have to have? What should you have? And what’s just nice to have? Put the features in these categories; then, bump them up against your budget, and your best choice will likely float to the top. You’ve made your CRM system choice. Now, how hard is it to implement? It depends on what you want to do. There are drag and drop interfaces for basic applications. But if you want advanced customization to tailor the system to your company’s specific needs, you need someone who has knowledge of proprietary languages (Deluge for Zoho, and Apex for Salesforce). Since the possibilities of Salesforce customization are greater than those for Zoho, the level of difficulty and costs can also be greater. Call us at 484-892-5713 or Contact Us today for free consultation about choosing or implementing best CRM solution for you business. Extremely fascinating and useful article. I extremely enjoyed the manner by which you have delineated and clarified your data.